W. Atelier is a purveyor of designer furniture carrying brands like TOTO, Republic of Fritz Hansen, Lightyears and NovaMobili. 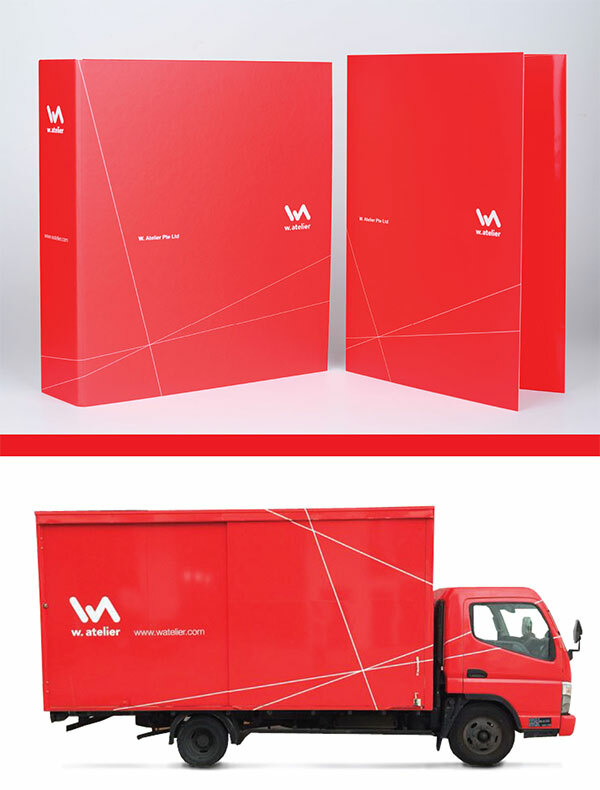 A vibrant red is the prominent element that unites the company’s stationery and vehicle livery. For the Kitchen showroom, we were involved in the graphic works that include the imageries that appear on walls and ceilings. Consistent branding was also implemented on various brand ads in publication as well as through e-newsletters and showroom graphics.